» How To Have A Happy Cat! Can you remember bringing your cat or kitten home for the first time? It is exciting and heartwarming to know that this little creature is now going to part of your family for many years to come. ​This is one addition that is going to give you love and companionship for many years to come. Many hours will be frittered away looking after and playing with th​e new addition and the new addition is supremely happy that he is the chosen one and will now be doted on forever. Once​ you have purchased all the new cat paraphernalia it is time to settle in and get serious and by the way, cat paraphernalia doesn't end there but as you have probably just spent a fortune, we won't dwell on that here. It isn't always easy to know how to please a cat. Dogs are more responsive to human attention, greeting you affectionately, tail wagging furiously and so on. Cats don't show all of these obvious signs, they prefer to keep an air of mystery but they do certainly love their owners. There are 5 fundamentals required for a cat to have a happy life. In a sense these apply to humans also, all we need to do is substitute doctor for veterinarian. ​These five points are in no particular order of importance. Your local veterinarian is always ​the best choice for vet care. ​When the vet is local, you become familiar with the staff, the way the business operates, the opening hours and so on. Other people you know in the area may use the same vet and have stories to share. It is like choosing a doctor, you need to feel comfortable with the vet. Maybe it is because they love animals but veterinarians I have met all seem to be most agreeable people. A general check is advised to ensure that your new arrival is in good health and to ​introduce new kitty to the vet. Our vet had to put on long protective gloves to examine our kitty​ (when he was in his youth) as kitty was not keen on being examined. Now after many years seeing the same vet, the cat is greeted by name and no more long gloves are needed. At the vet you will be given information about vaccinations and other issues likely to affect the cat. Check to see if your vet has boarding facilities. 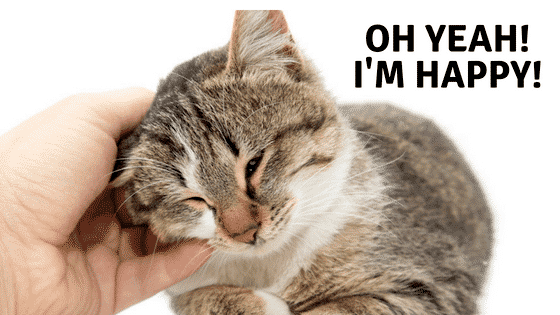 Our​ veterinarian has boarding facilities for cats and it ​gives us peace of mind ​knowing the cat is at the vet while we are away and that he is in the right place to get care if needed. This has actually become more important as the cat has become older. Your veterinarian may also supply cat food. It is not necessary to purchase food at the vet however sometimes the options ​at the ​vet are a good dietary choice and no​t available elsewhere. Cats are obligate carnivores and as such need protein in their diet for survival. The names of cat food will usually be something like, Beef and ..., Tuna and ..., Chicken with.... and so on. We think of a balanced diet as including all the food groups however this is not so for a cat, as protein should always form the main part of the diet.​There is more information here about what cats should definitely not eat and things that cats can tolerate but should not be encouraged. You might be surprised at some of the things on the list. Fancy Feast was what he wanted and ​Fancy Feast is what he got. Who says we are not dictated to by our cats. Must be Sunday - Fancy Feast for dinner! ​These ​food dishes are slightly tilted and designed to make the food easier to pick up which is great for flat-faced breed cats. It goes without saying that we want to keep our kitties safe. Indoor kitties are pretty well taken care of in that regard, outdoor kitties are more likely to run into trouble in many different ways. Most outdoor kitties have their regular favorite spots around the yard, often one where they can bask in the sun or hide under a bush in relative obscurity. If your cat is an indoor cat but has a hankering for the outside there are many outdoor enclosures ranging from the supremely fantastic mega structures to a portable structure that can easily be set up and dismantled and then there is everything else in between. Our cat has a special spot looking out of the front window. This has necessitated adding a mini extension to the the window sill so that it is wider and ​he can sit and watch all that is passing by the front of the house. Kittens and cats are naturally inquisitive. Anyone who has a cat knows that an empty cardboard box is a must explore opportunity for a cat. ​Children are great at keeping cats stimulated by playing with them and will spend ages waving a cat wand. It is great exercise for the cat as they jump and leap to chase the wand. Climbing structures are loved by cats and they do provide the double duty of being a scratching post also as they are usually covered in carpet or sisal. Mental stimulation games ​help to relieve boredom in cats. We try not to talk about our kitties too much for fear of being labelled a crazy cat person but in the end who cares. It is easy to love a cat and for them to worm their way into ​our hearts but it is also a responsibility looking after a cat and one that we must be prepared to take on willingly and happily for many years. Have you got a lap snuggler who jumps up onto your lap and wants to be patted or does your cat squirm to be put down when picked up? Our cat is the squirmer variety although now he is a senior that has changed somewhat. Even the squirmer loved attention when he was younger when it suited him. Love is also looking after our cats every day of the week and keeping up routines like brushing, keeping the litter box clean, watching their weight and general health such as flea control and providing a good diet. ​What do you do to keep your cat happy?